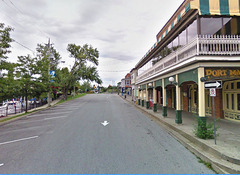 I've designed a tour that highlights the remnants of the canals that you can see in Port Dalhousie. 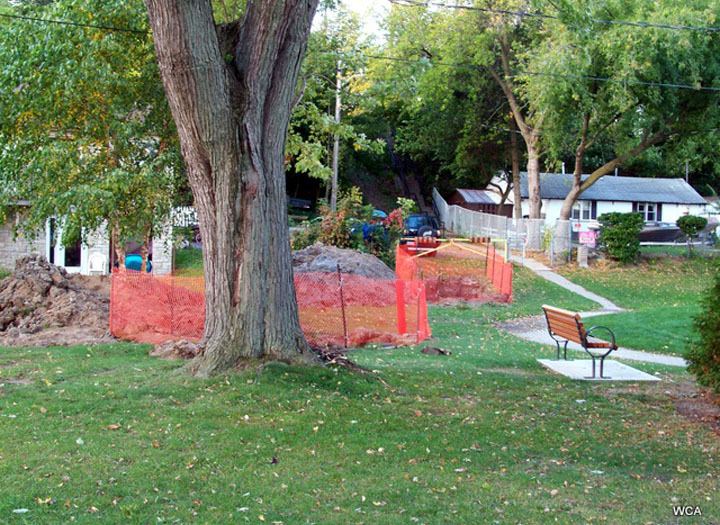 The First Welland Canal can be difficult to follow, but we'll identify what's there before moving on to the Second and Third Welland Canals. Click on the map to jump to a description and picture for each item. 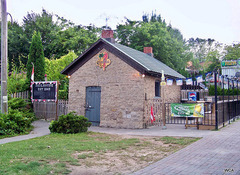 Port Dalhousie Jail: There's plenty of places to park in Port Dalhousie but the parking lot identified on the map is a great place to start the tour. 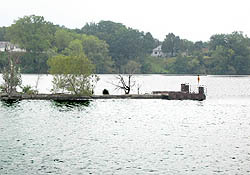 Submerged Pier: The First Welland Canal continued northwest with a short pier made of wood beams and stone continuing on into the water. 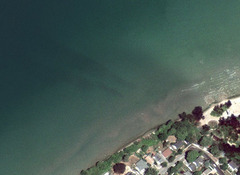 The pier allowed ships a clear channel into Lake Ontario but the direction turned out to be a problem. Ships attempting to leave the canal were often met by the prevailing northeast wind and became trapped in the canal. 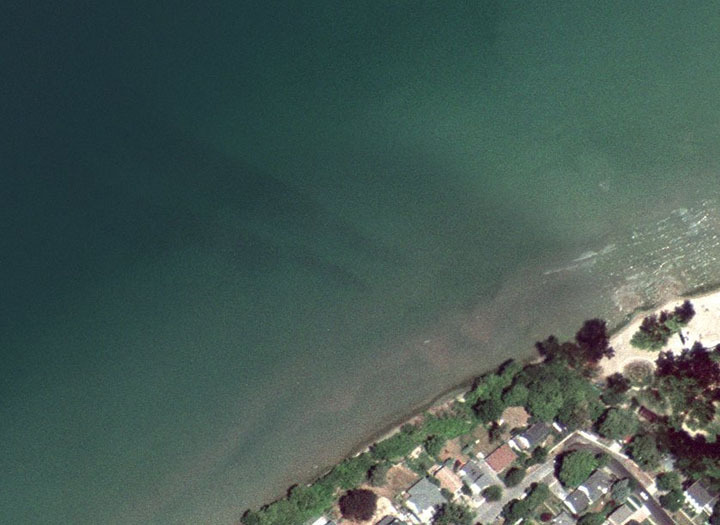 Today the pier appears to be cleaned up, but it actually still exists underwater several meters from shore. 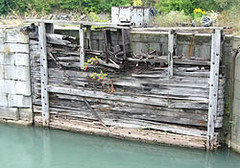 Second and Third Welland Canal Pier: The pier located at the far north end of Lakeside Park is the original pier built for the Second and later Third Welland Canals. 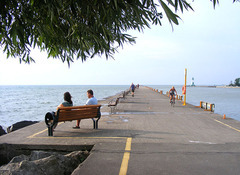 The pier is popular with locals and at 500 meters extends a considerable distance into Lake Ontario. When returning keep in mind that this was the route of the Second Welland Canal. Continue along the walkway on the left side of the parking lot. Lock one of the Second Welland Canal lies ahead. 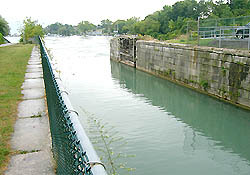 Canal Front: Adjacent to the route of the Second Welland Canal. runs a long line of buildings and businesses. 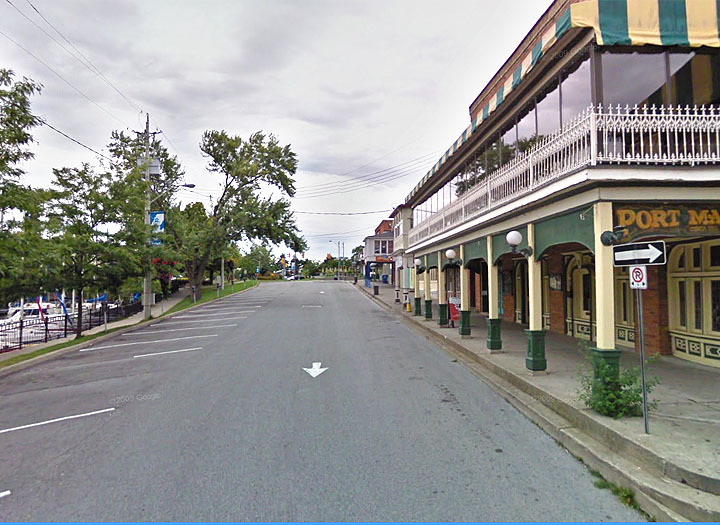 The buildings were originally built on the banks of the canal to cater to the needs of people employed by the canal. Today they also service a small tourist industry. 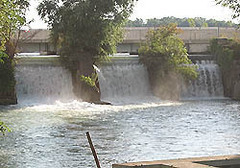 Lock 1- Second Canal: Continuing on a little further should bring you to Lock one of the Second Welland Canal. The lock has been turned into a small terraced park that you can actually walk into. 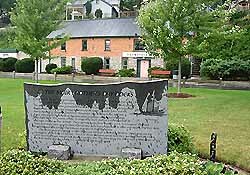 A historical plaque stands at the southeast corner. Second Canal Plaque: Like most historic plaques the one by Lock 1 of the Second Welland Canal is well written and full of information. Once your done, head east toward the lower harbor. 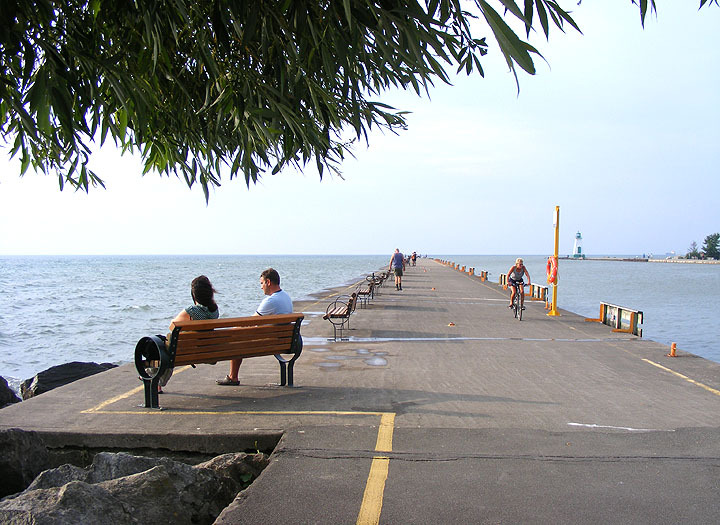 You should meet up with the waterfront trail at the harbor. Taking this pathway south will also bring you to a large pedestrian bridge and several additional landmarks. Lincoln Fabrics: Located in the middle of the Inner and Lower Harbors is the Lincoln Fabrics building. 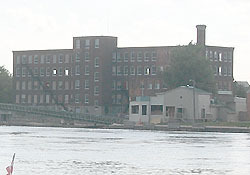 The factory was originally built as the Maple Leaf Rubber company in 1900 and has been in continual use for over 100 years. 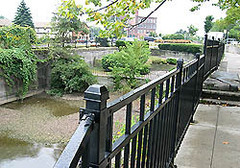 Its a good reminder of the numerous factories that used the canal for either transportation or water power. 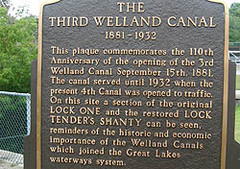 Lock 1 - Third Canal: Continuing on the trail will bring you to another lock, this time from the 3rd Welland Canal. The lock is huge and filled with water on the north end. 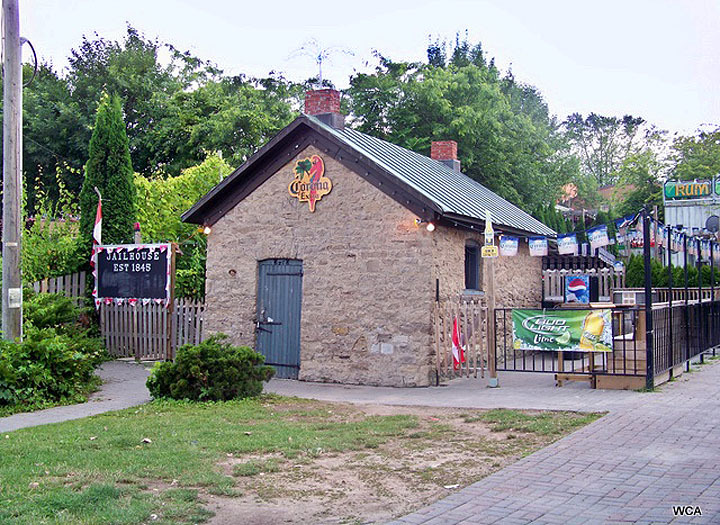 In the picture you may notice that one of the original lock gates is still in place on the lock wall. The Door: One remarkable thing about the locks in Port Dalhousie are the small artifacts that have survived. There are several of them but this lock gate seems the most remarkable. 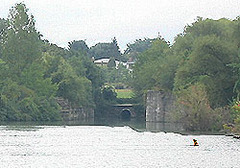 It has remained in place for over 70 years since the 3rd canal stopped operation in 1932. 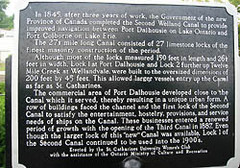 Plaque #2: Another plaque stands beside Lock 1 of the Third Welland Canal. 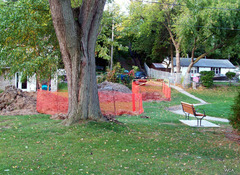 This one is a more brief and talks about the 3rd canal remnants nearby. 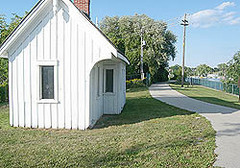 Lock Tender's Shanty: A small white hut sits just off of Lakeport Rd. beside Lock 1 of the Third Welland Canal. The hut was once used to collect customs and other payment from ships passing through the canal. The hut is also the only one of its kind still standing. Tow Path: Cross Lakeport Rd. into Rennie Park and continue walking south. This whole land area was fillled in using dirt dredged from the nearby rowing course and will allow you to walk a significant distance into the inner harbour. On the east side of the park you'll can still see a string of man-made islands in the water that form a line across the pond. The islands are the remains of the towpath that horses once used as they towed ships through the third canal. Lock 2 - Third Canal: If you continue south to the far end of Rennie Park you'll be able to see another lock from the Third Welland Canal on the southeastern shore of the inner harbour. Muir Brothers: Heading back toward Port Dalhousie you'll come across a building in Rennie Park Called "Dalhousie House" The building was once the main office for the Muir Brothers. A large carved stone tells the history of the company. For almost 100 years the company built ships here for use on the Great Lakes and the Welland Canal.